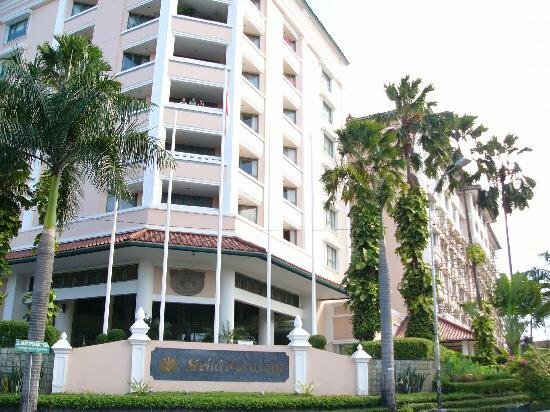 The hotel is on a prime location, next to the Marlioboro street, the most famous shopping street of Yogyakarta. 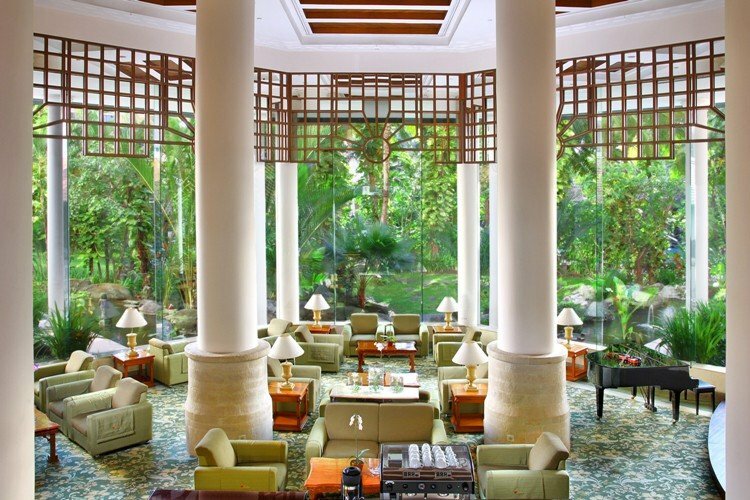 The beautiful lobby will certainly impress you and the Chinese restaurant in the hotel is considered one of the best restaurants in Yogyakarta. 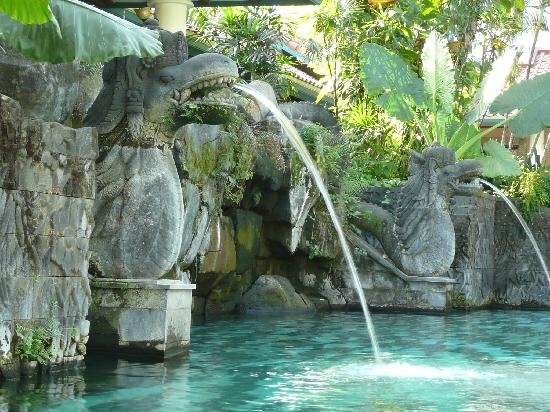 In the two other restaurants, one of which is next to the beautiful swimming pool, Javanese and international dishes are served. Melia Purosani also has a bar and a pub for drinks, cocktails and snacks where you can enjoy live music from Wednesday to Saturday evenings. 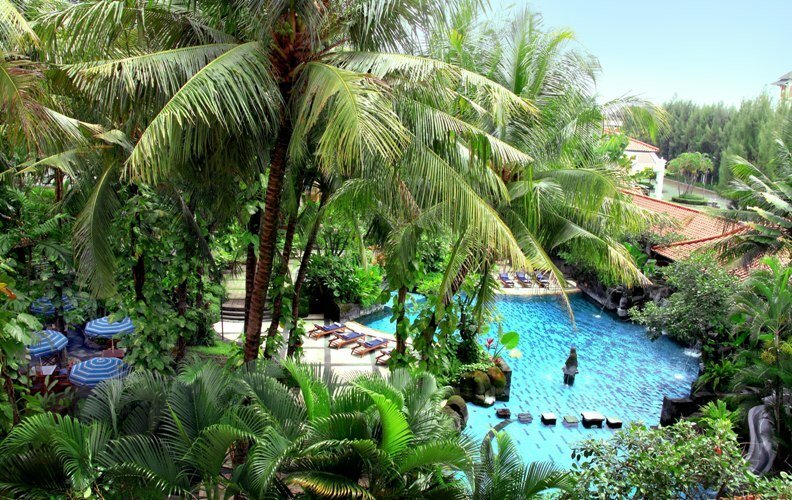 In the Spa body and mind are cared for in a traditional Javanese way. The Javanese style rooms are spacious and comfortable. The hotel also has 2 wheelchair-friendly rooms. All rooms are equipped with AC, television, telephone, desk, bathroom, bathrobes, slippers, hair dryer, first aid box, minibar, coffee and tea making facilities, safe and wifi. Restaurants, bar, pub, swimming pool, Spa, fitness room, hairdresser, beauty salon, yoga, table tennis, volleyball, badminton, kids club, baby-sitting service, shop gallery, laundry service, room service, multilingual staff and business centre.